The residents of Berkley know that when they are looking for storm doors to enhance their homes, the only one to trust is Home, Door and Window Products. Our friendly service team will help you choose the perfect security storm door for your home or business. You won’t find a more extensive selection of storm doors on display, including Fox storm doors and Trapp storm doors than at the showroom of Home and Door near Berkley. Let us show you how a custom storm door will add value and curb appeal to your home. Free estimates for new construction storm doors and security storm doors for your home or business are always available. The small suburb of Detroit known for its small-town appeal is the city of Berkley, located in southeastern Oakland County, Michigan. The nearly 15,000 residents enjoy great eateries and unique shops in the city’s Downtown district all within close proximity to major entertainment, business amenities, and healthcare facilities. Home and Door is proud to be part of the thriving community in and around Berkley. 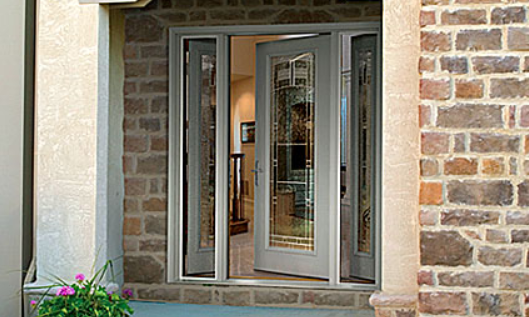 We have the styles, colors, and designs of security storm doors you are looking for. Our customers in Berkley know when they need a quality storm door, the company to depend on is Home and Door! If you are looking for a quality Trapp storm door, we have them at Home and Door near Berkley! With over 30 years’ experience, we know what our customers expect when choosing a new security storm door. We carry the trusted Fox storm door products, and our showroom is superb. Stop in today to see the extensive selection of storm doors we carry, and we guarantee there’s one for you! Home and Door storm doors are the most durable doors on the market, and we have Trapp storm doors in stock. Home, Door and Window Products will go above and beyond your expectations, call us today at (248) 399-9900 for more information.